Ships tomorrow if you order in the next 17 hours 17 minutes. Auto Ship & Earn + 146 Points What's this? The amino acid L-5-Hydroxytryptophan (5-HTP) is created from L-Tryptophan in the body, and is a precursor to serotonin and melatonin. 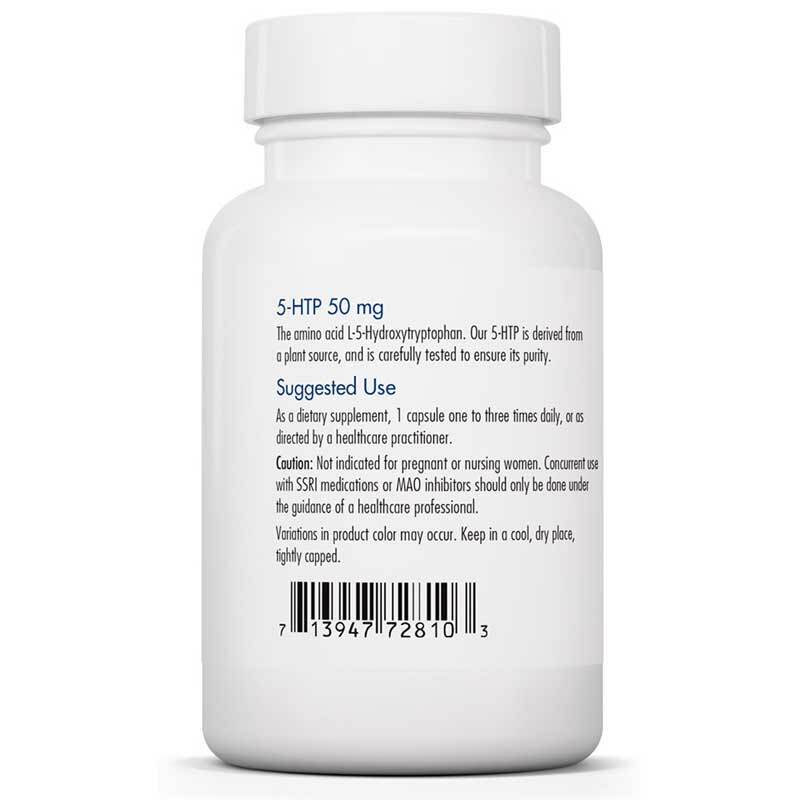 5-HTP is reported to be well tolerated by most people but side effects including nausea, diarrhea, and drowsiness have been observed. For this reason, many take 5-HTP before bedtime. 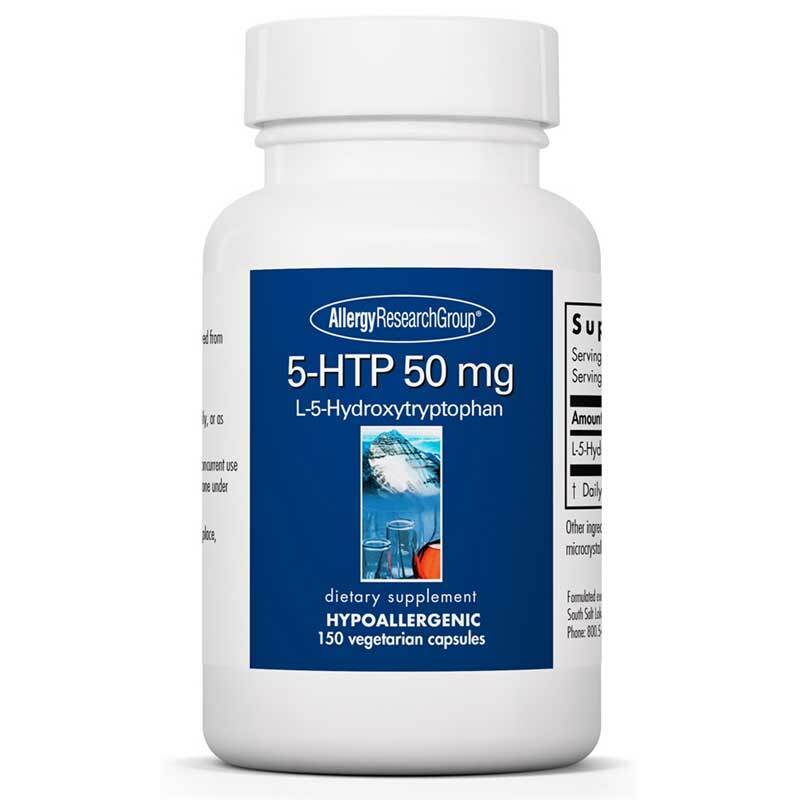 5-HTP from Allergy Research Group is derived from a plant source, and is carefully tested to ensure its purity and to guarantee the absence of contaminants. Contains NO: preservatives, diluents, or artificial additives. 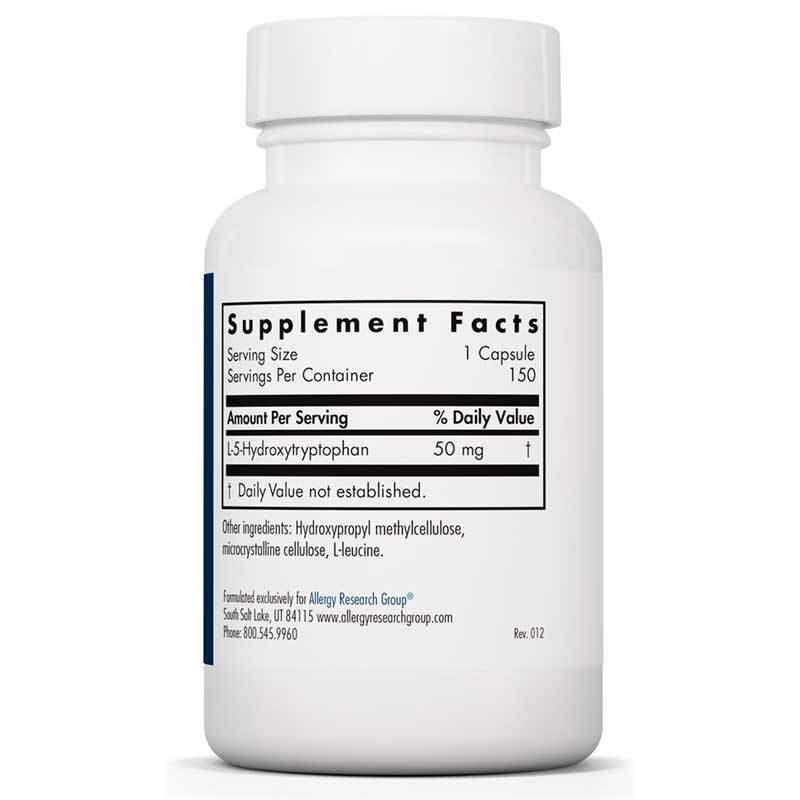 Adults: As a dietary supplement, 1 capsule one to three times daily, or as directed by a healthcare practitioner.